Home / Lenses / Lenses in Nikon/m42 dual mount / Nikon mount portrait lens MC Kaleinar-5N 100mm f/2.8, s/n 921748 – boxed! Nikon mount full frame portrait lens – needs no adapters for Nikon DSLR! 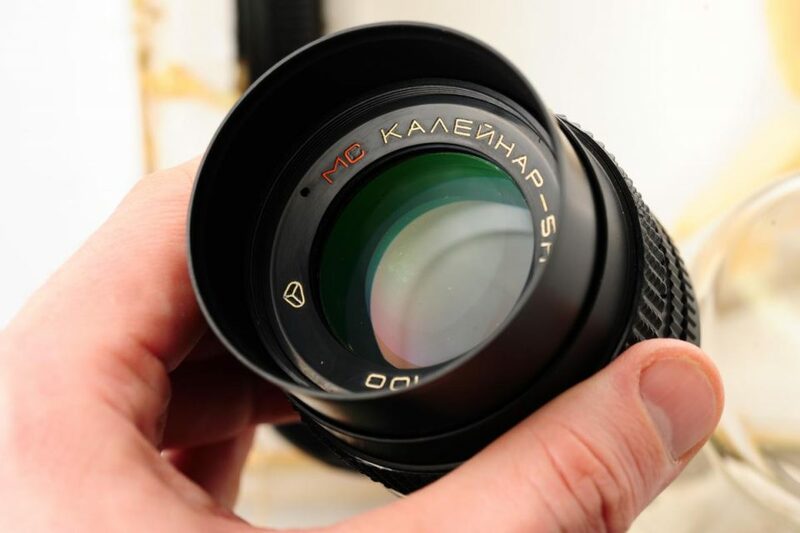 MC Kaleinar-5n 100mm f/2.8 portrait lens for Nikon (D)SLRs – full frame and DX! Kaleinar-5n is a very compact manual focus portrait lens with creamy bokeh at f/2.8 & excellent sharpness even wide open. Made in Ukraine on Arsenal factory in Kyiv, it comes in native Nikon mount – it was produced for 35mm Kiev SLRs with Nikon bayonet. It was sold with optional m42 tail that allows to change the mount of Kaleinar into m42 screw mount. Has build-in retractible lens hood and again, is very compact lens(looks like standard modern 50mm lens). 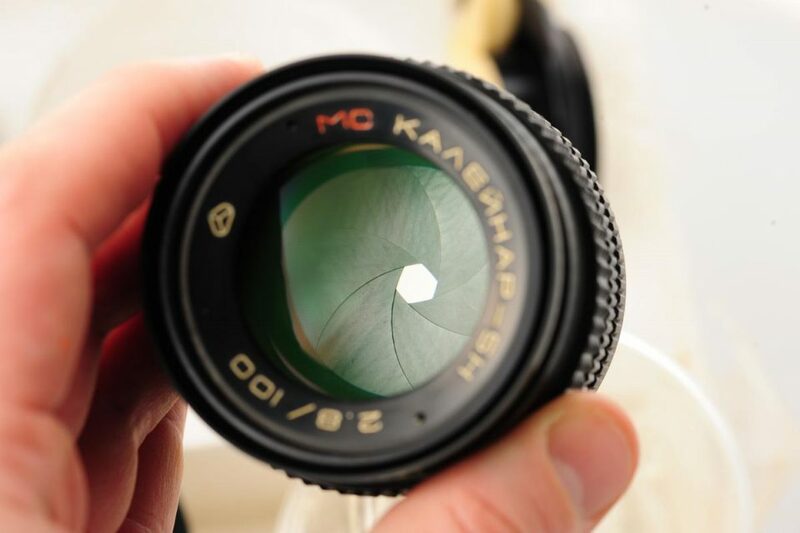 MC Helios-81N is Nikon mount vintage soviet fixed focal length(prime) lens. Practical portrait lens for Nikon (D)SLR shooter – 100mm makes it short telephoto lens, fast aperture(f/2.8) – allows blurring the background behind models. It is especially useful for Nikon (D)SLR shooters, but can also be mounted on various camera systems via affordable and easily available adapters. On Nikon (D)SLR this lens will work just like Nikon’s own AI(s) series of lenses – image covers full frame(film) and works well on both full frame(FX) and cropped(APS-C) Nikons – with manual focusin of course. 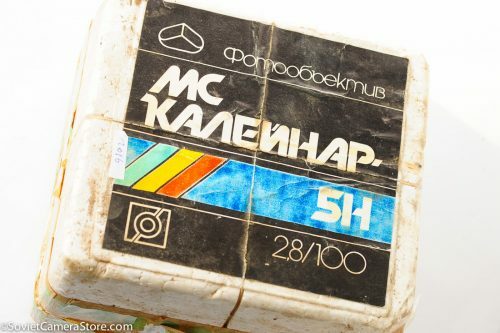 obvious choice for Nikon (D)SLR shooters. Replaceable tailend can turn the lens into m42 screw mount lens. The lens s/n 921748 is in excellent, near mint condition! Lens barrel has few visible signs of normal use/age on lens barrel. Glass is clean and clear – has no fungus, no scratches, but has very faint haze (very common for Kaleinars). Few internal dust particles may also be present, but will not have any effect on photos. 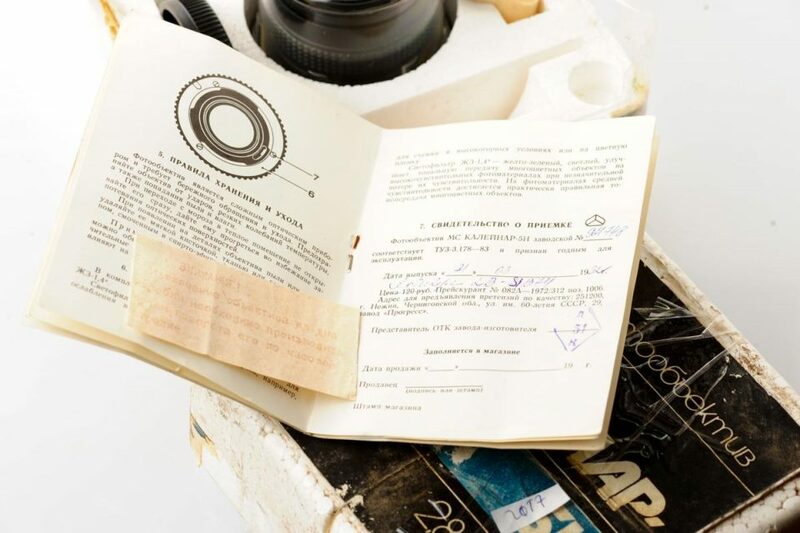 Comes with it’s styrofoam box, paper manual / passport, both caps lens caps, replaceable m42 tail, case, but no filters.